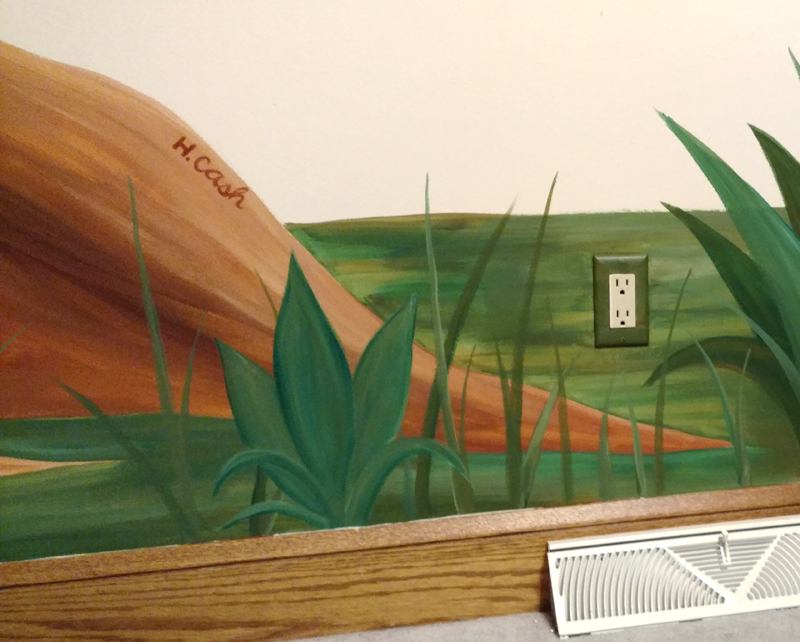 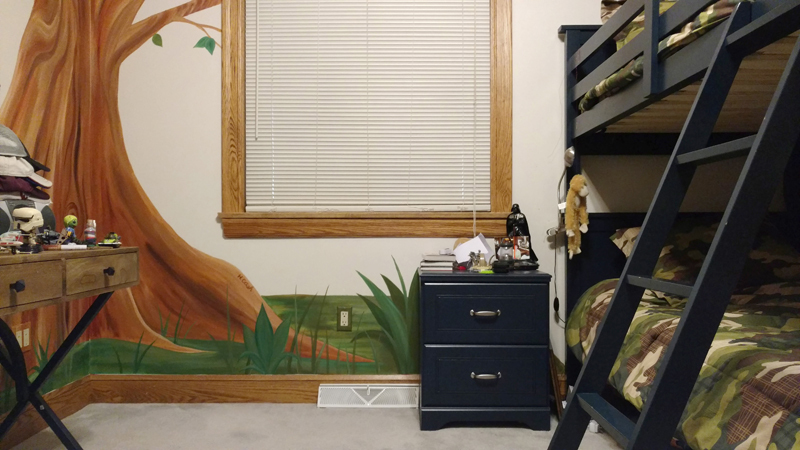 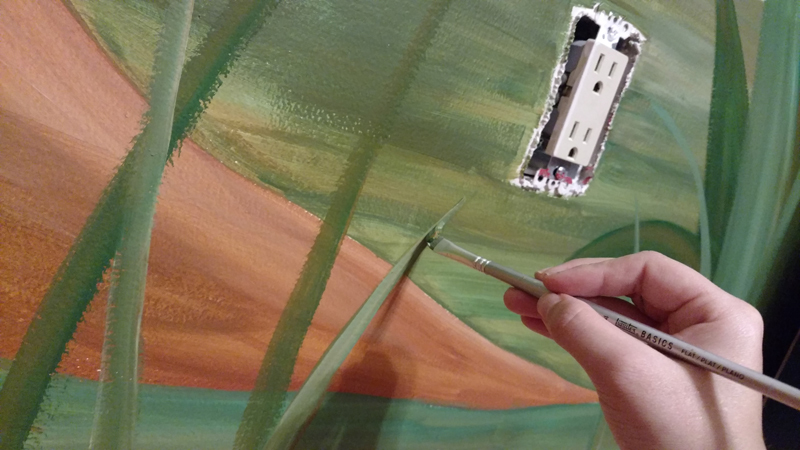 In early 2017 I painted a mural for a boy who loves hunting and the outdoors. 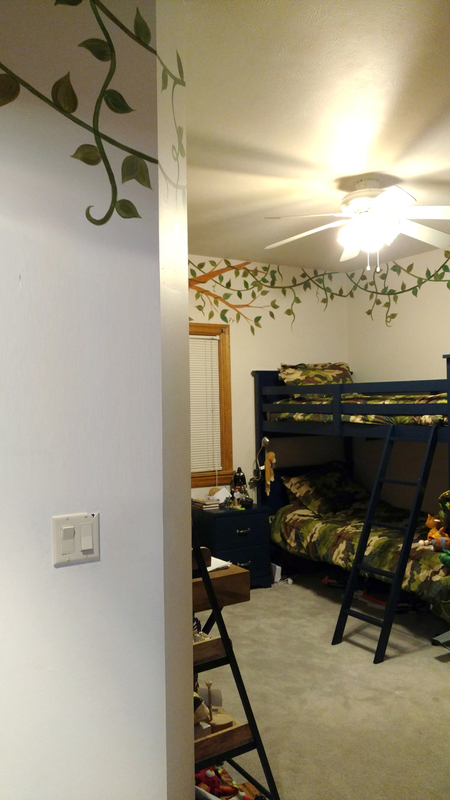 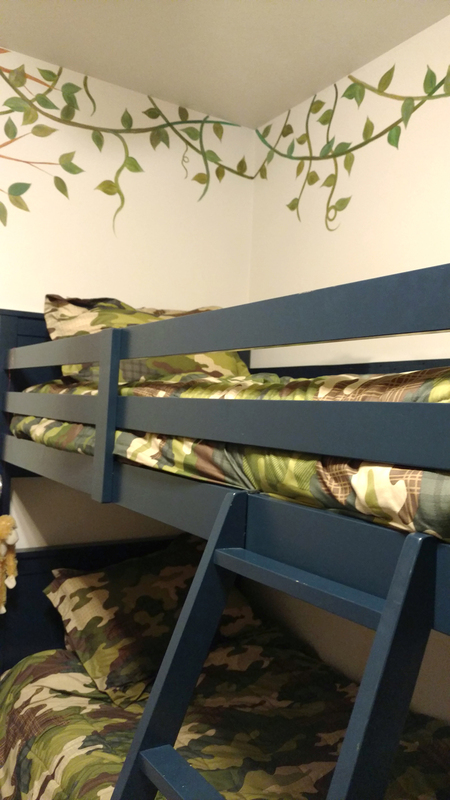 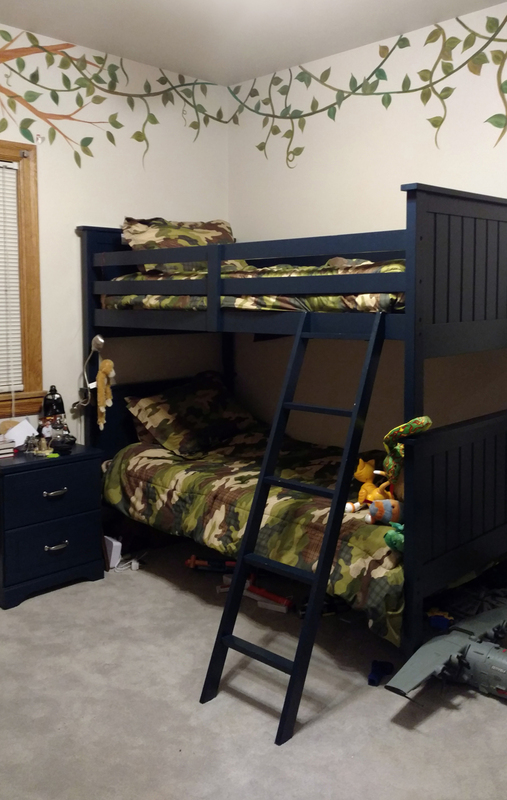 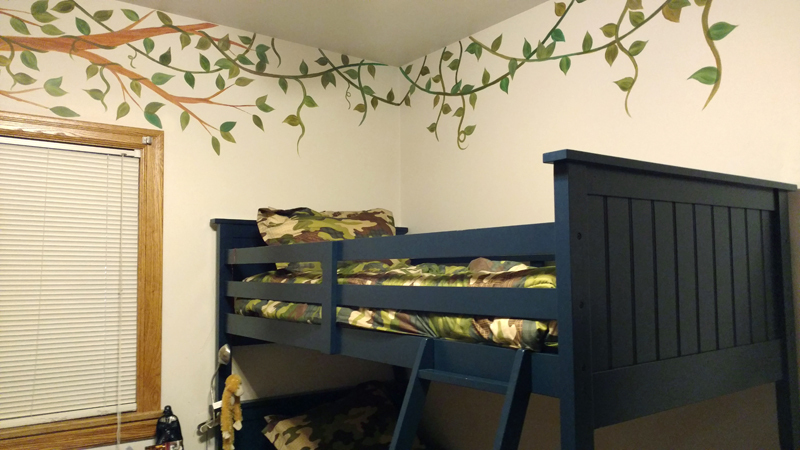 His bedroom was already in a camouflage theme. 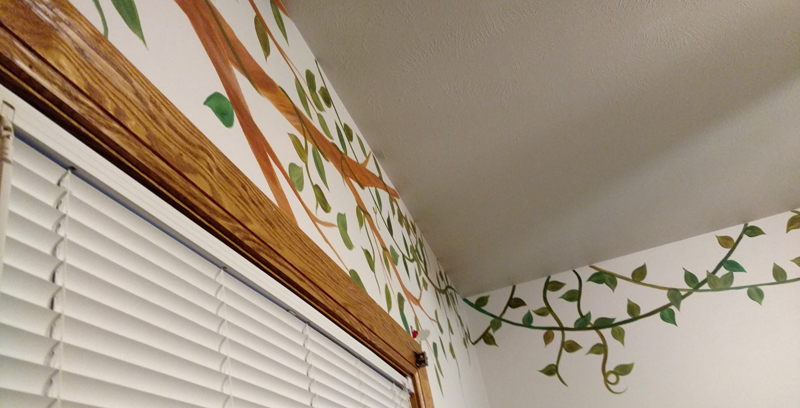 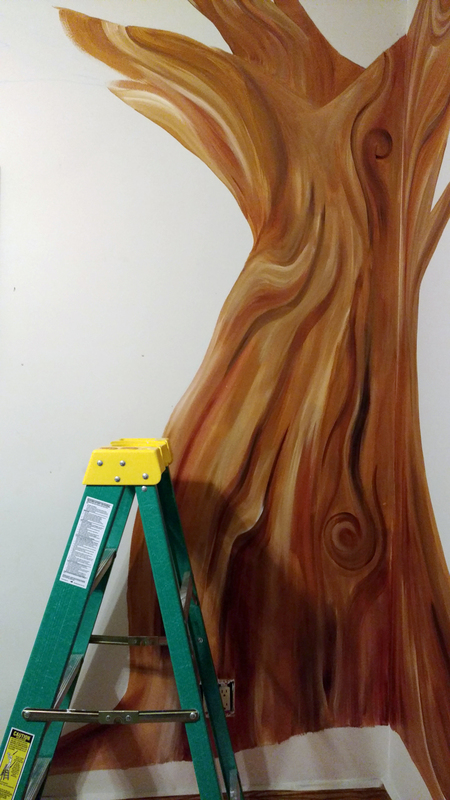 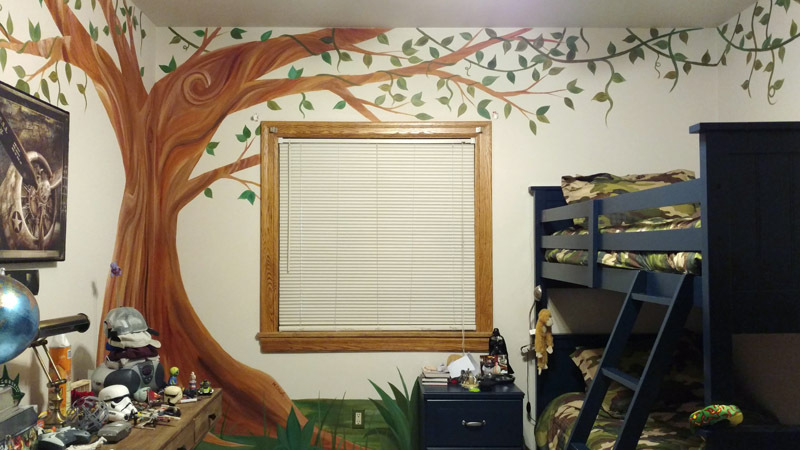 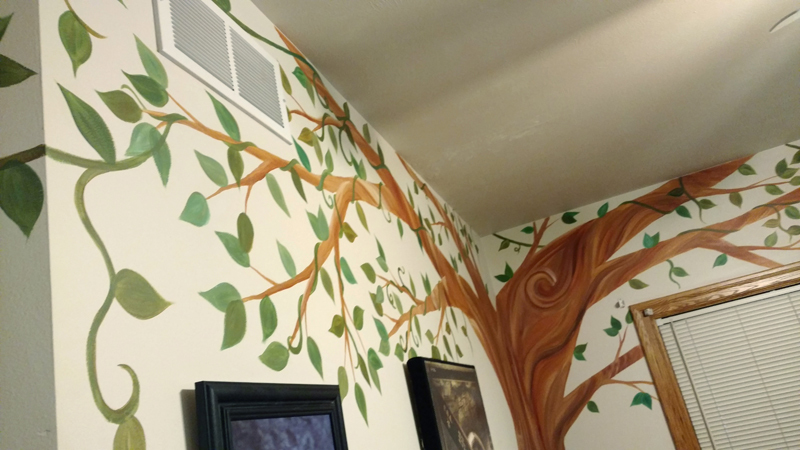 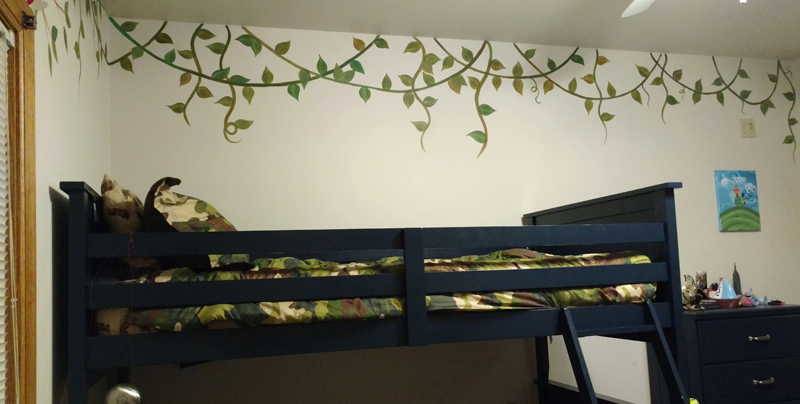 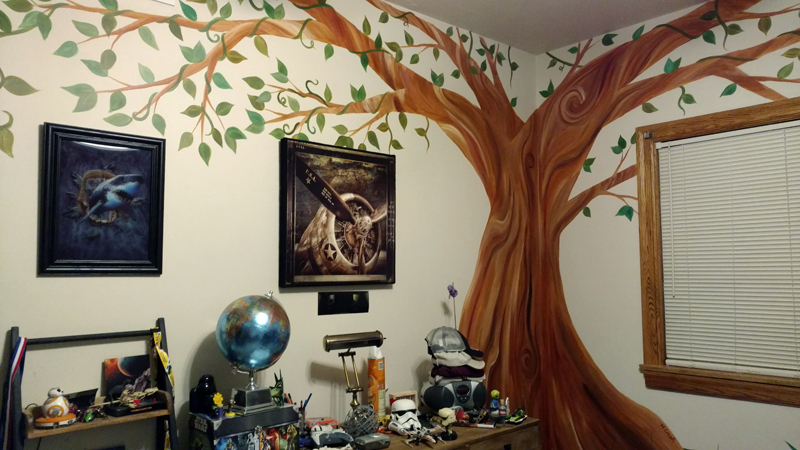 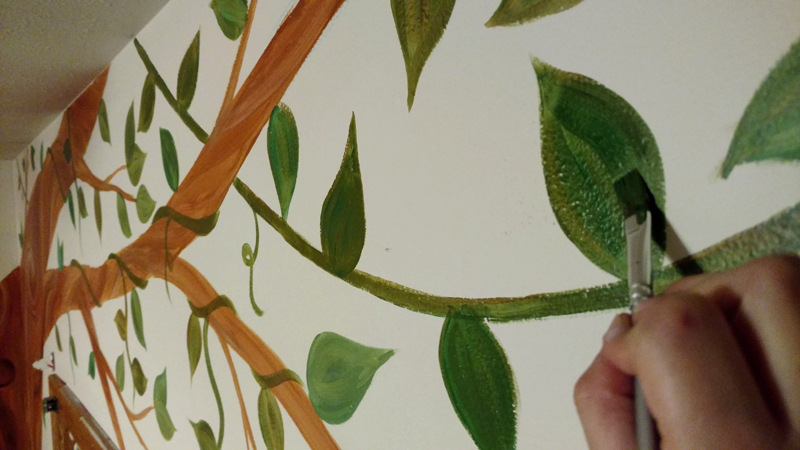 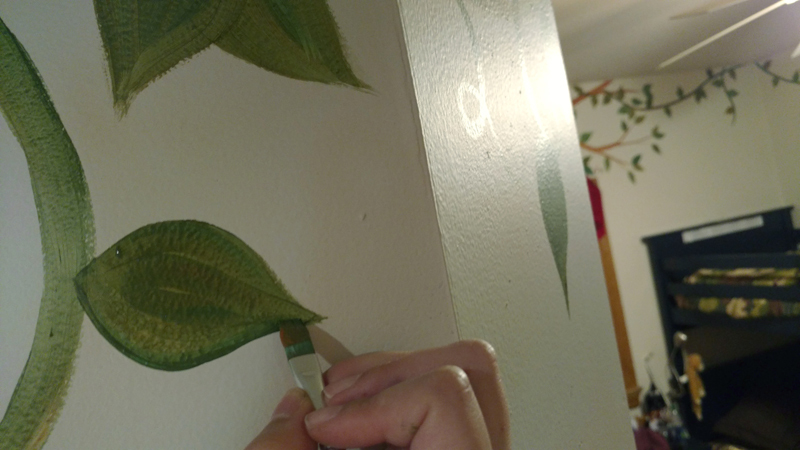 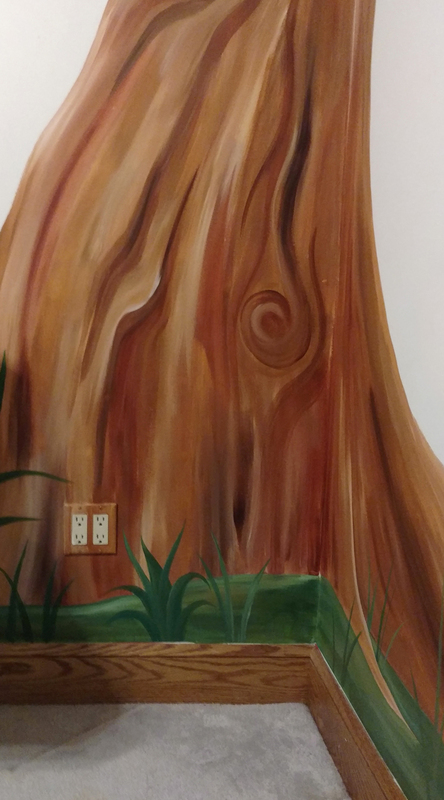 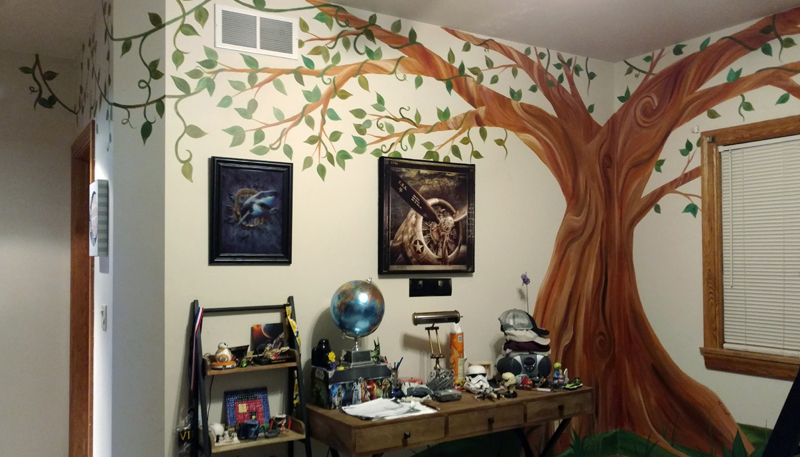 He wanted it to look like he was deep in the woods – his request was a big old tree, vines, and plants. 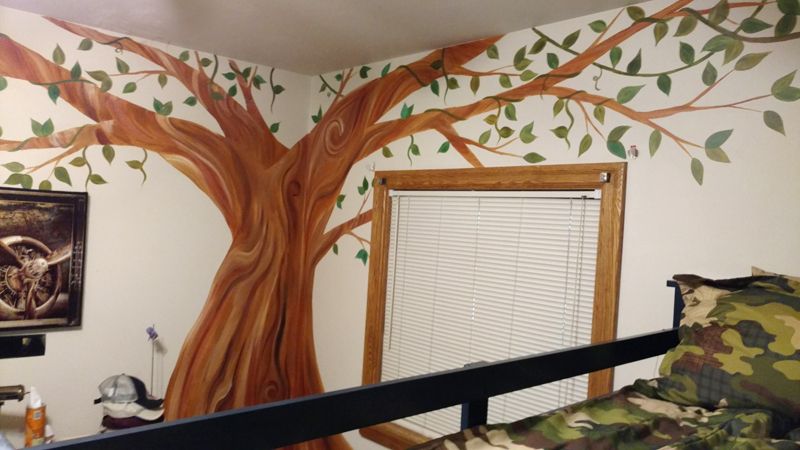 This mural took me about 14 hours, and I’m so happy with how it turned out! 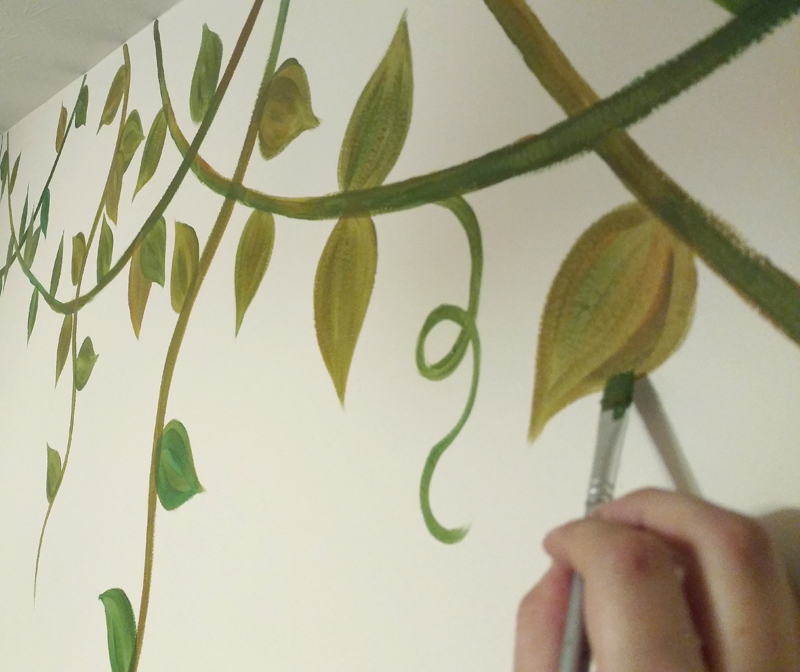 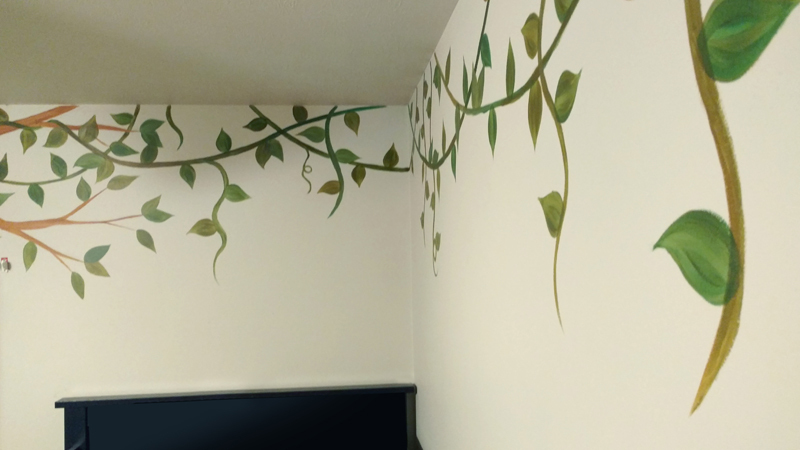 The vines actually continue along both the left & right wall, and even into the hallway that leads to his bathroom!